Lightly spray 8-inch skillet with cooking spray. Add sugar and ground red pepper; mix well. Stir in pecans. Cook over low heat, stirring occasionally, until sugar mixture is melted and pecans are coated. Remove from heat; set aside to cool. In small bowl, mix dressing ingredients with wire whisk until smooth. In large bowl, mix salad ingredients. 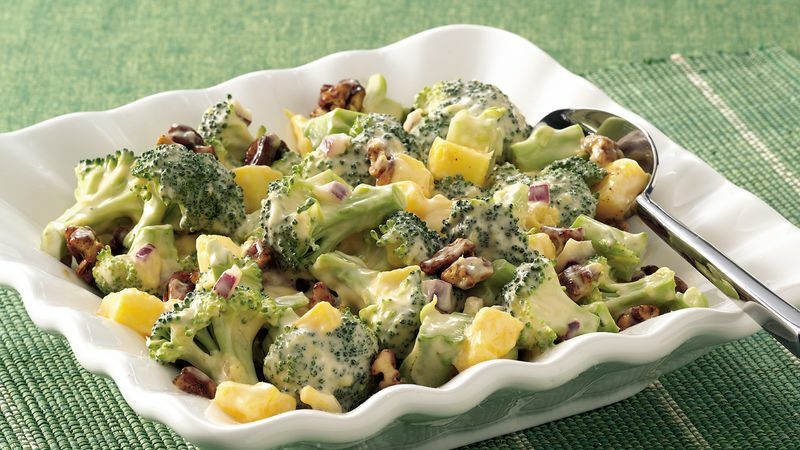 Add dressing to salad; toss gently to mix. Just before serving, stir in pecans. Cover and refrigerate any remaining salad. Need help cutting a mango? Score the skin lengthwise into fourths with a knife, and peel like a banana. Cut the peeled mango lengthwise close to both sides of the seed, then dice.